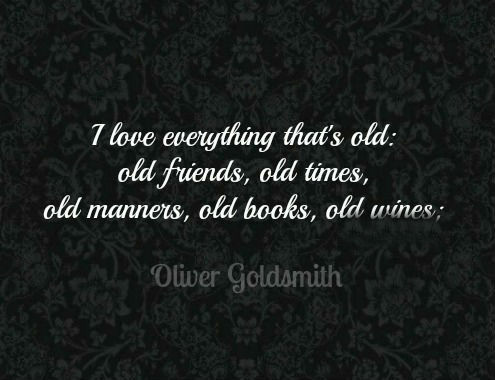 I love everything that’s old: old friends, old times, old manners, old books, old wines. In all the silent manliness of grief. When they talked of their Raphaels, Correggios, and stuff, He shifted his trumpet, and only took snuff. On the stage he was natural, simple, affecting; ’Twas only that when he was off he was acting. Who, too deep for his hearers, still went on refining, And thought of convincing, while they thought of dining; Though equal to all things, for all things unfit, Too nice for a statesman, too proud for a wit. Our Garrick’s a salad; for in him we see Oil, vinegar, sugar, and saltness agree. But there’s no love lost between us. It’s a damned long, dark, boggy, dirty, dangerous way. I’ll be with you in a squeezing of a lemon. Is it one of my well-looking days, child? Am I in face today? Though very poor, may still be very blest. Thus fares the land, by luxury betrayed. The rich man’s joys increase, the poor’s decay, ’Tis yours to judge how wide the limits stand Between a splendid and a happy land. And, even while fashion’s brightest arts decoy, The heart distrusting asks, if this be joy. In arguing too, the parson owned his skill, For e’en though vanquished, he could argue still; While words of learned length, and thund’ring sound Amazed the gazing rustics ranged around, And still they gazed, and still the wonder grew, That one small head could carry all he knew. The village master taught his little school; A man severe he was and stern to view; I knew him well, and every truant knew; Well had the boding tremblers learned to trace The day’s disasters in his morning face; Full well they laughed, with counterfeited glee, At all his jokes, for many a joke had he. The village preacher’s modest mansion rose. A man he was to all the country dear, And passing rich with forty pounds a year. 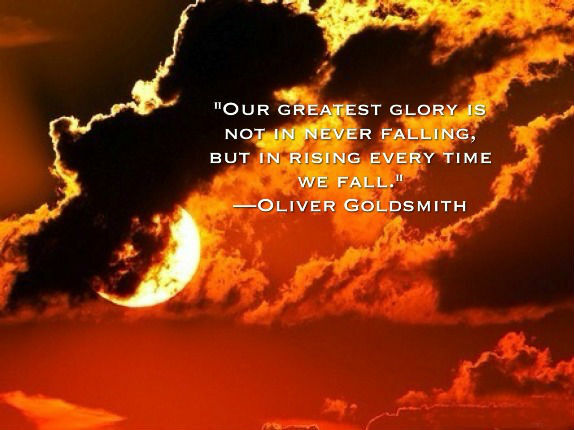 Ill fares the land, to hastening ills a prey Where wealth accumulates and men decay: Princes and lords may flourish or may fade; A breath can make them, as a breath has made; But a bold peasantry, their country’s pride, When once destroyed, can never be supplied.